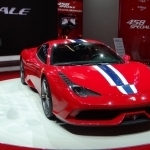 During a showroom in Geneva, Ferrari presented the successor to 488 GTB. 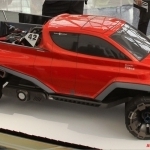 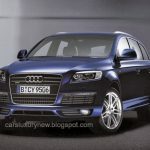 They will be replaced by the F8 Trubuto, which is stronger, faster and has a lowered weight and lower air resistance. 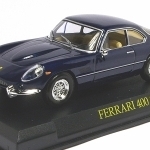 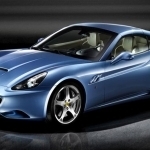 More important, however, is probably the last model from Maranello before the era of electrification. 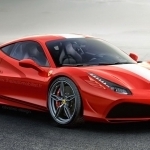 Ferrari F8 Tributo, as usual, is effective, infernally fast and attracts the attention of all motoring fans – even those who are not enthusiasts of Maranello products. 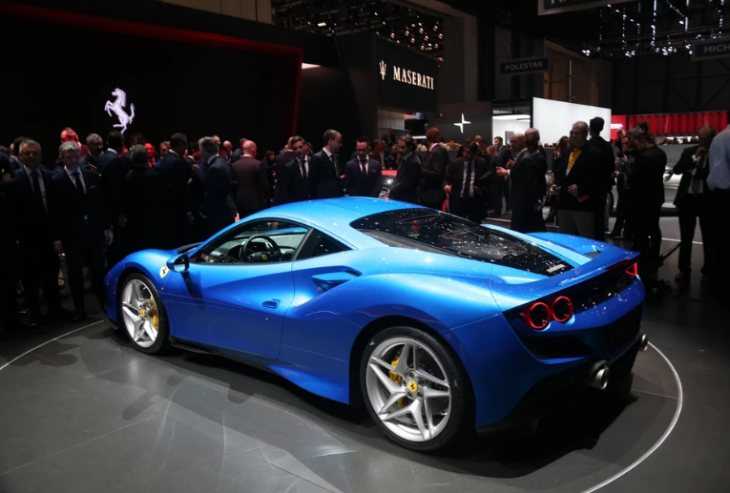 However, this time at the booth of the Italian supercar brand, the company’s future was louder talked about than the new model. 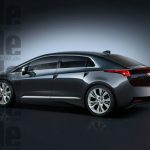 Head of sales and marketing – Enrico Galliera – confirmed rumors that the next model will be a hybrid! 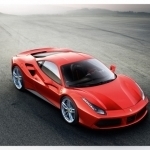 This means that downsizing will also affect Ferrari, and the F8 Tributo may be the last car of the manufacturer with a double-charged and award-winning V8 gasoline engine with a capacity of 3.9 liters. 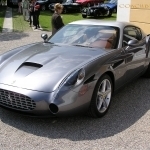 Ferrari, when designing the F8 Tributo, was clearly inspired by its legends. 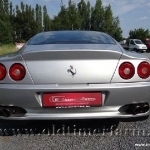 The rear double lamps are a clear reference to the 308 GTB model from the turn of the 70’s and 80’s, while the front of the car was inspired by the iconic Ferrari F40. 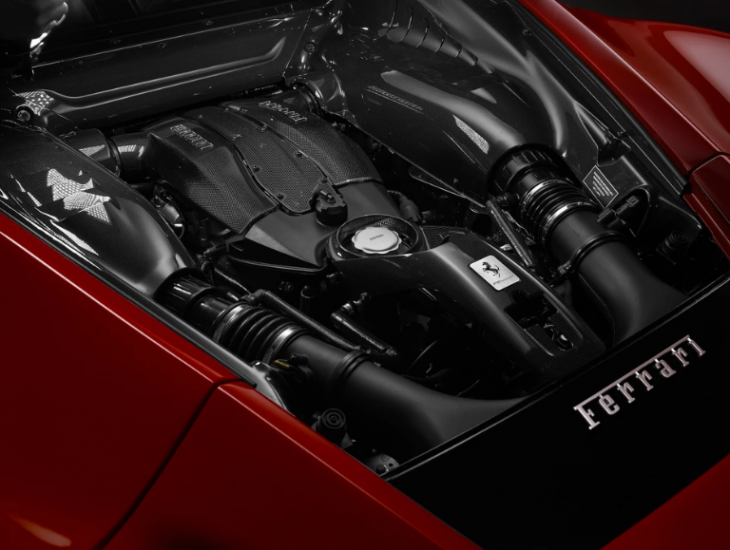 The latest F8 Tributo will be powered by the already well known dual-charge V8 gasoline engine with a capacity of 3.9 liters. 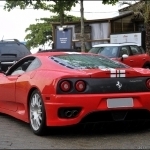 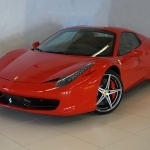 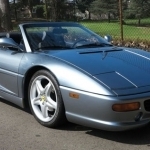 However, it is the most powerful version that has ever been put in a civilian Ferrari model. 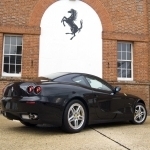 The unit generates up to 720 HP of power and 770 Nm of maximum torque. 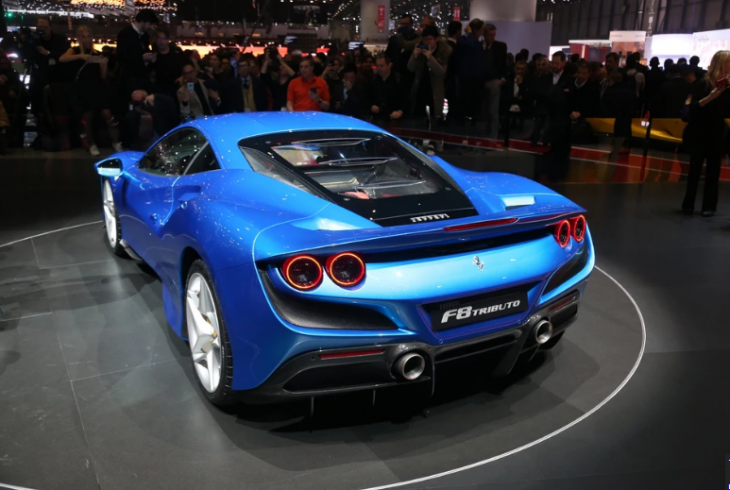 F8 Tributo accelerates from 0 to 100 km / h in just 2.9 seconds, or 0.1s faster than the one coming off the stage 488 GTB. 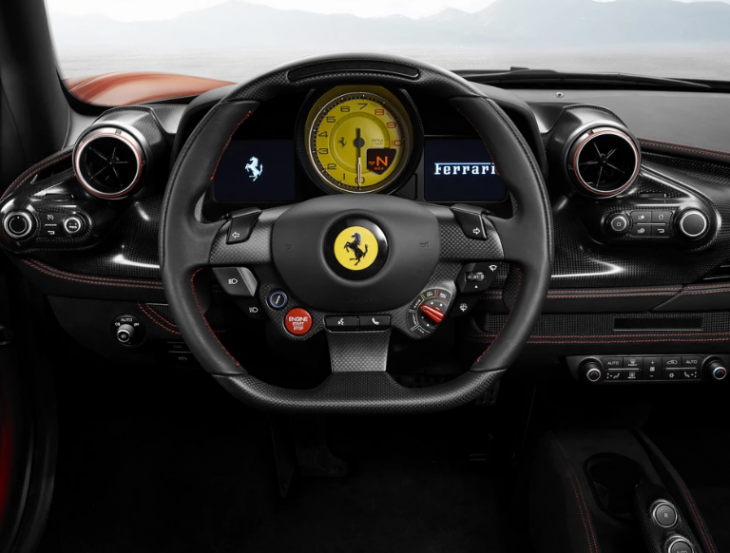 More impressive is the acceleration from 0 to 200 km / h – the latest Ferrari model needs just 7.8 seconds, which is as much as a fast civil car. 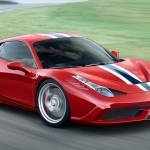 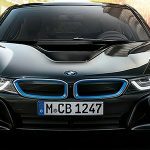 The maximum speed is not less than 340 km / h. These are parameters similar to the top Ferrari 488 Pista. 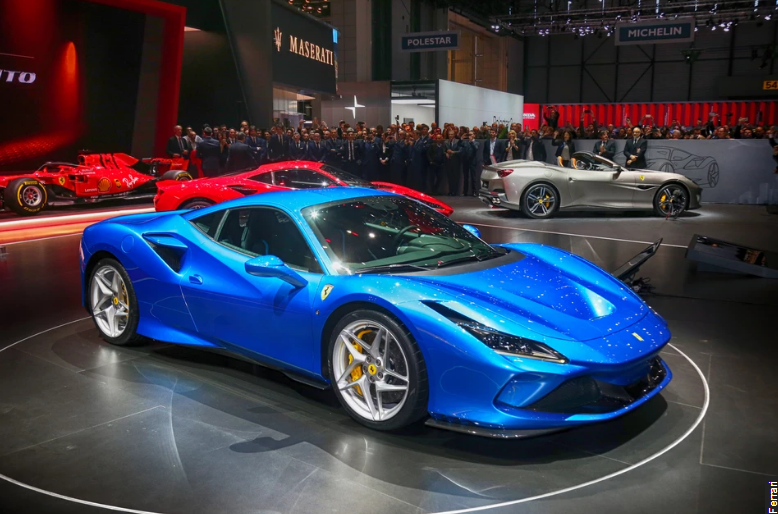 Performance has been improved not only thanks to engine overclocking (50 HP and 10 Nm more than in the predecessor), but also weight reduction, improved aerodynamics (10%) and downforce (15% increase) compared to the 488 GTB model.